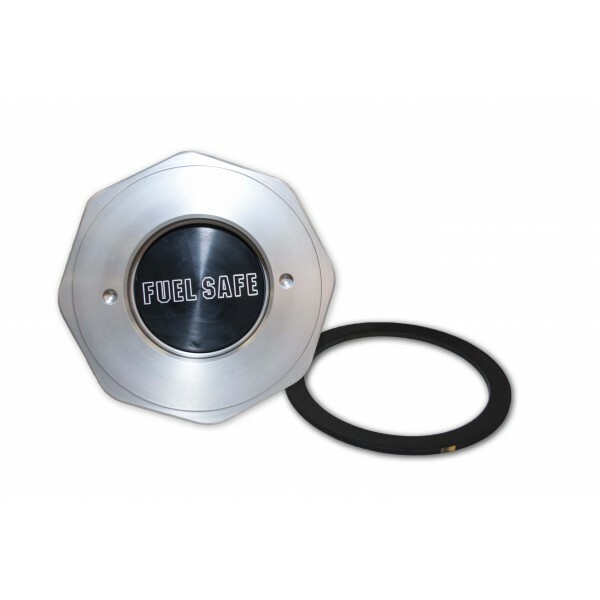 The Fuel Safe Dry Break Cap (FSDBC) keeps fueling clean and efficient, so you can get out of the pit faster and back to racing. Our Dry Break Cap packages the mechanics of a dry break in an easy on-off style cap, to make pre-running and testing a breeze for any off-road setup. Installing the FSDBC requires no additional parts (unless you want to add the option of a filler neck), just treat it like a bayonet style gas cap and twist to seal. What makes our Dry Break Cap different? Instead of using compression springs for the receiver, Fuel Safe installs torsion springs which release evenly and easily when pressure is applied. You won't fight your dry break while fueling with the FSDBC. 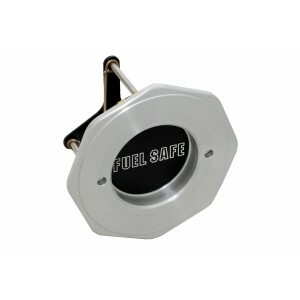 Fuel Safe's Dry Break Cap is compatible with an Off-Road Filler Neck, FN400, or an opening that fits a four-inch bayonet style cap. Fuel Safe dry break (female), includes gasket. Cap features a 2.5 inch reciever and fits a 4 inch fill.